What is Hung Gar Kung Fu? The school Wutai teach traditional Wu Shu, Tai Chi Chuan Chen style and Yang, Qi Gong, Shaolin Hung Gar Kung Fu, Xing Yi Quan and Shuai Jiao (Chinese wrestling). Periodically we organize intensive courses and seminars of traditional wu shu for our students, also for everybody interested, with the target to improve their own practices. 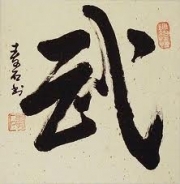 Taiji is a metaphysical concept, which first emerged in the appendices of the Yijing or Classic of Changes "one of the main sources of inspiration for traditional Chinese philosophy. Taiji, which comes to mean literally supreme summit, refers to the fundamental fact of the birth of "Being" whose dissociation in duality Yin / Yang, male and female principles, respectively, help to explain the whole process of change, ever changing, which is permanently linked in our universe, and are the primary source of any transformation of matter. The Taiji Quan, or boxing supreme summit, is one of the most popular forms of exercise in China and one of the most widespread in the rest of the world. Its principles have their roots deep in traditional Chinese thought, and especially in the Taoist philosophy. The style Hung Gar Kung Fu is one of styles with more traditional flavor and one of the most popular in China. Its origins lie in the famed Julian Shan Shaolin monastery in China's Fujian province during the S. Century, when Manchu hordes sweeping across China and whose synthesis is partly due to the need for rebel groups, to confront the invader. 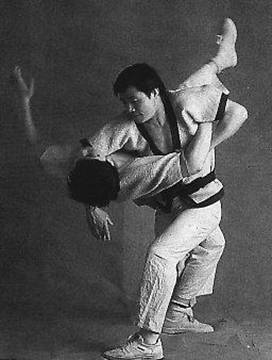 Energetic and powerful movements, the Hung Gar style is an excellent exercise and a good method of self defense. Their training consists of numerous empty hand forms and weapons, ways to partner and so on. some of them with direct affiliation with the Shaolin monastery. 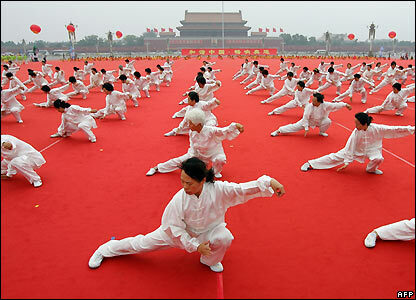 This therefore makes the Hung Gar style, one of the most complete within the traditional Chinese martial arts. The practice of Hung Gar style, is undoubtedly the one that has influenced modern forms of Nan Quan (Southern Boxing) of Wu Shu contemporary, thanks to its dynamism and expectaculares. Formed in Spain by the Masters Chiu Wai and Lam Chuen Ping, Master Jose Luis Serra, a disciple of the latter, continues its legacy for new generations of practitioners to enjoy their practice. A rich art. 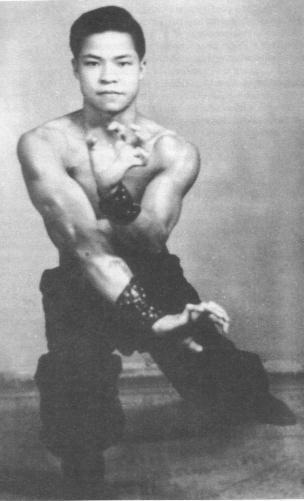 Thanks to a long tradition, the Shuai Jiao has very elaborate techniques in which the implementation lies in the speed and skill and not on employment of brute force. Its theoretical foundations are deep and subtle like the Tai Ji Quan. An effective sport. Discipline formerly practiced by the military, Shuai Jiao has also notions of long distance and melee and even more dangerous techniques are prohibited in competition, the sport remains inseparable from the defense and the most applicable techniques in combat Kung Fu. An aesthetic technique. Show prized by emperors, combat must be based on the use of fluency and have a high technical level. In competition not only assess the effectiveness, be so likewise the value of technical performance. Qi Gong is a psychophysical practice originating in China, whose early origins are over 5000 years ago, at the beginning of Chinese civilization itself. The sense of the term literally means "energy cultivation. In succinctly, its goal is the prevention and treatment of some diseases as well as provide quality of life and longevity. Are recognized roughly three branches: medical, religious and Qi Gong martial martial, there is also a search for physical hardening intended to provide the practitioner resistance to possible attacks. 1. Sets the spirit - Shen regulates and controls the mental and psychological changes, providing balance. 2. Adjust energy - Qi regulates and controls breathing and, using the Yi (Mind conscious intention) promotes a harmonic movement of energy throughout the body. 3. Set the body - regulates body position, posture and movements, allows communication between the interior and exterior, promoting our sensibilities. Thus, the study and practice Qi Gong, we provide a healthier life, a stronger body and greater psychological balance. 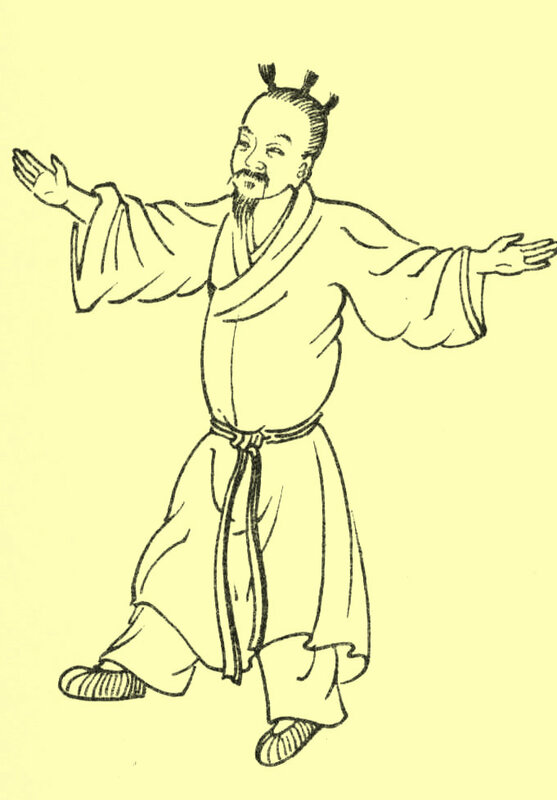 At our school we practice Qi Gong in several ways: Baduan Jin (brocade eight exercises), Yi Jin Jing (change of muscle and tendon) Wu Qin Xi (Five animals set), Lian Gong Shi Ba Fa (eighteen years of Lian Gong) and others.